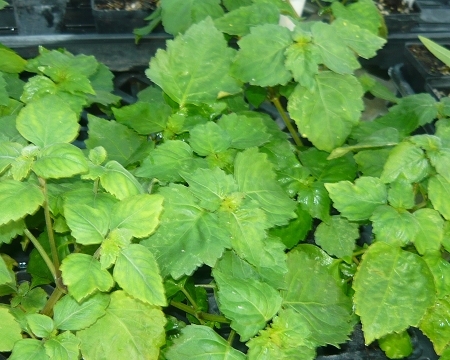 Patchouli (pogostemon) - Intensely fragrant leaves. Oil is used in perfumes, soaps, and incense. Beautiful houseplant or can be grown outdoors as a perennial in zones 10-11+. Strong perfume scented leaves can be used in floral arrangements, potpourri, wreaths and sachets. Tropical plant is difficult to be safely shipped during coldest winter months. Live starter plant in 3 inch container. Very excited to receive such an interesting plant.It's very thick and healthy. The strong fragrance is pure 60s hippie and I love that just brushing it scents the air. Thank you!